What is black, beige and red-all-over? The Spring/Summer 2010 3.1 Phillip Lim shoes, that’s what. The Phillip Lim woman will be soaring above the rat race come spring in death-defying footwear. 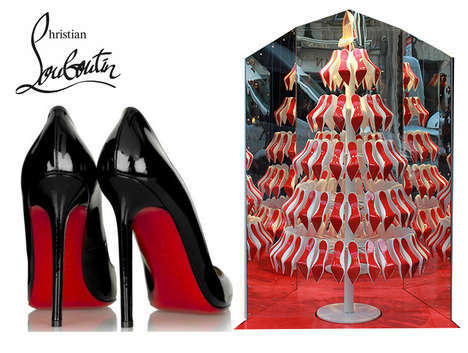 What with the rubescent collection it seems only fitting that the stratospheric stilettos were courtesy of a collaboration between Lim and Christian Louboutin. Feminine duo-toned t-strap heels were given a dash of femme fatale with the addition of leather-covered grommets. Steep color-blocked peep-toe, double-strap mary-janes and oxford-esque booties also strutted down the runway. The 3.1 Phillip Lim shoes also features mono-toned killer ankle boots. These were embellished with subtle leather covered grommets and delicate gold buckles. While all of these Phillip Lim shoes posses lithe limbs, Lim and Louboutin did offer more modest shoes. These sleek selections came in the form of simple booties with a lower, chunkier heel and sweet gold buckle embellishment.